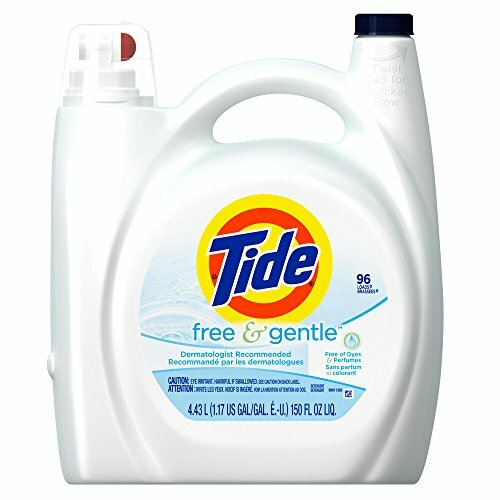 Tide Free & Gentle is dye- and perfume-free. And it removes more residue from dirt, food, and stains. * *vs. the leading free detergent. Tide Free has been specially designed for sensitive skin. It's made with no dyes or perfumes and is dermatologist tested to provide your fabrics with a great clean that's gentle on your skin.